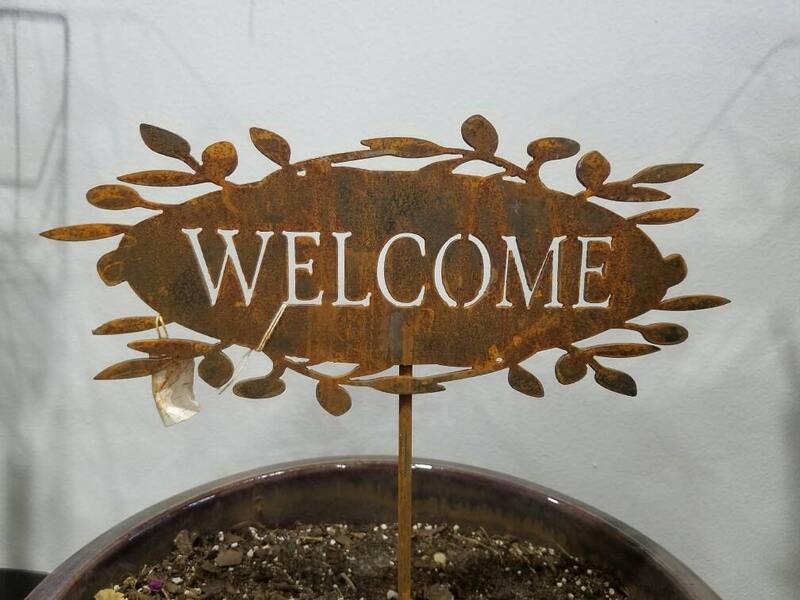 Rusty WELCOME yard stake will look great next to your garden gate! The Medium size also stands up well in a flower planter at the entrance to your home! 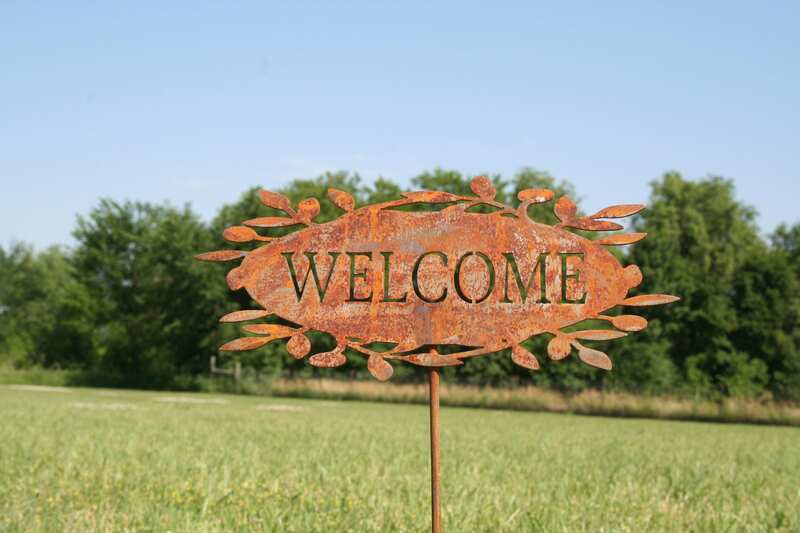 Welcome sign is available in Large or Medium. Large is 16" wide and 28" tall including the stake. Medium is 12" wide and 23" tall including the stake. 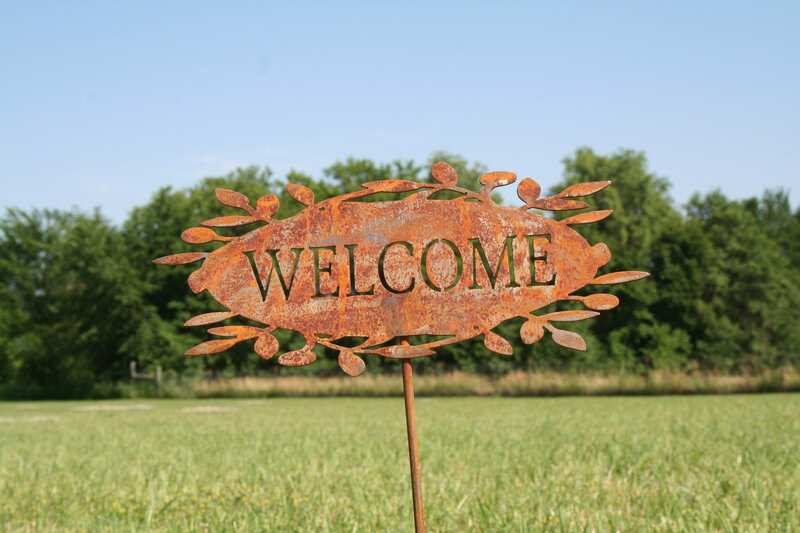 The charming Welcome Stake has been pre-rusted for an aged look. 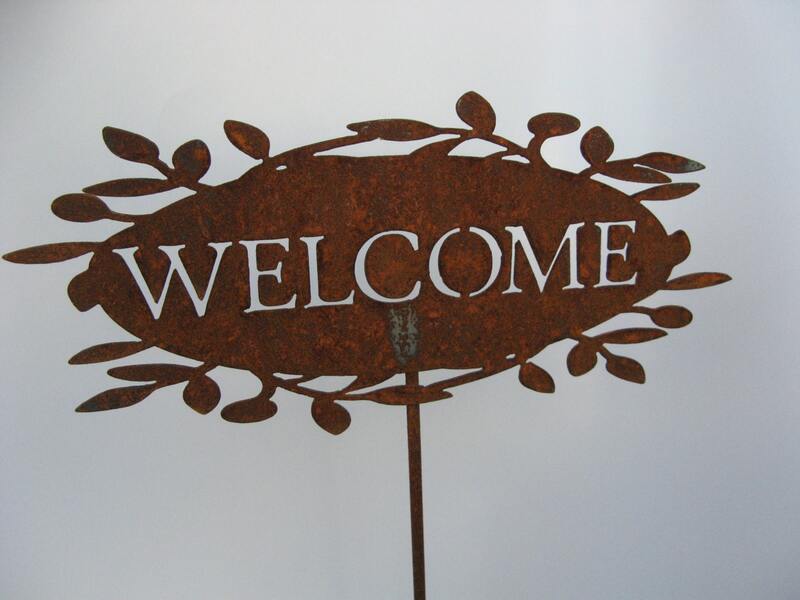 Cut from thick steel, this is a durable outdoor welcome sign. It's made to last for decades! No need to bring it in for winter. Safe in all weather. Patina will continue with time, adding to the aged look. 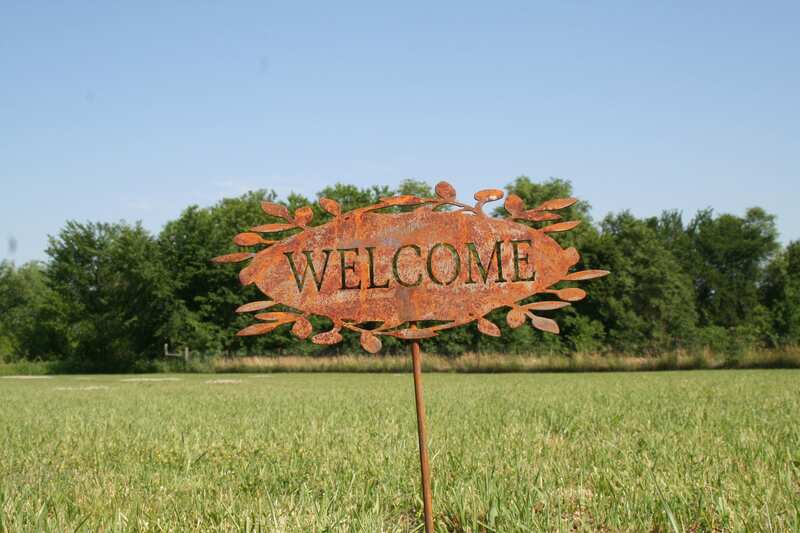 We hope you love this welcome sign as much as we love creating them! All of our items are made by the two of us, in our own shop. 100% made in USA and made to last! Perfect! Great quality and heavy metal. Will look great in the garden and I can tell will hold up really well. Nice item. Thanks so much!!! Item arrived on time and in good condition. I used the box she shipped it in and wrapped it up to give to my grandma. She was so excited when she opened it up on Christmas Eve. She kept saying she loved it, so I can't recommend this enough!